Applegate Home Improvements - Windows, patio doors & conservatories. Applegate Home Improvements – Patio Doors. Patio Doors – Rehau uPVC Sliding Patio Doors are made to measure and are ideal if space is limited. Sliding patio doors float along their stainless steel runners, allowing for effortless opening and closing. As with French Doors they benefit from noise reduction, Anti-jacking security strips, Anti-jamming protection is provided by a full-length steel keeper plate and Multi-point locking mechanisms. They are available in a wide range of options with a choice of two, three or four panes. 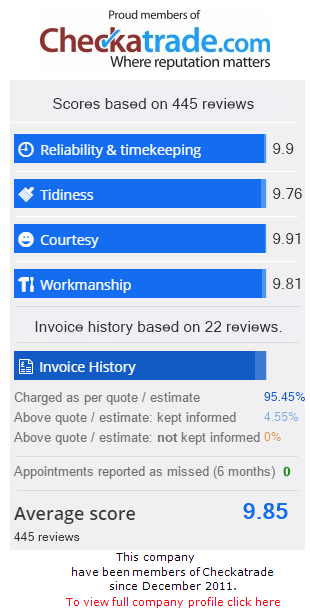 Thank you very much, we are very pleased with our new windows and doors and would have no hesitation in recommending Applegate Home Improvements.